James Cahill, who died at the age of 12. Anne Cahill, who died at the age of 14. Celestine Cahill, who died at the of 8. The witnesses to all three burials were the same two men: Thomas Campel [Campbell?] and Napoléon Nolin. Ile du Grand Calumet (Paroisse Ste. 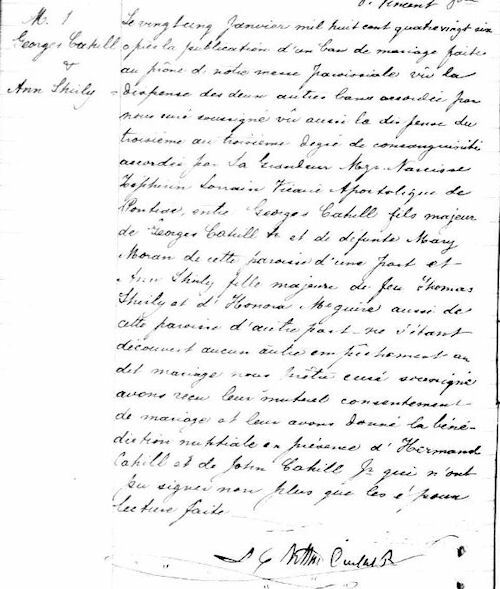 Anne, Co. Pontiac, PQ), Register of Baptisms, Marriages, and Burials, 1860-1871, S. 17 (1866), James Cahill; S. 18 (1866), Anne Cahill; and S. 19 (1866), Celestine Cahill, image 104 of 216, Ancestry.ca (http://ancestry.ca/: accessed 20 July 2011), Quebec Vital and Church Records (Drouin Collection), 1621-967. 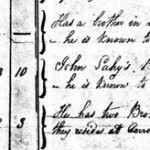 Based on baptismal and census records, I believe that James and Anne were the children of George Cahill and Mary Moran; and strongly suspect that Celestine was the daughter of James Cahill and Isabella Moorhead. There is no mention in the above records of the cause(s) of death for these three Cahill children. 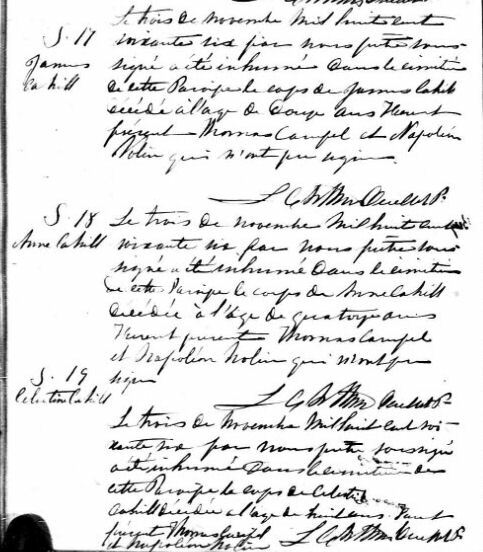 As I’ve probably noted before, the Catholic burial records generally do not mention a cause of death unless it was something especially violent, dramatic, or unusual (e.g., death by drowning, or by fire). And in 1866, childhood death by illness was by no means an unusual occurrence. Which is not to say that people just took it in stride, without feeling the loss too deeply (which I’ve seen suggested in a few places, and which strikes me as quite wrong). These children were no doubt deeply mourned by their parents, siblings, and other relations; and 3 November 1866 must have been an awful, awful day for the Cahills of Calumet Island.